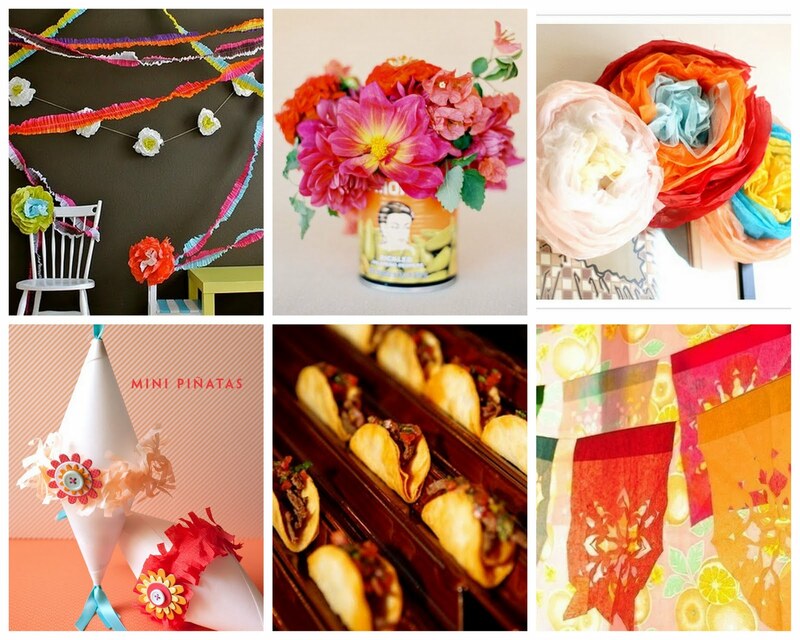 I’ve recently been collecting fun and fresh inspiration for a fiesta for cinco de mayo or anytime on one of my Pinterest boards (my new obsession)! There are more ideas where these came from, but I thought I would share a few of my favorites with you today, in case you are looking to spice up dinner tonight or throw some sort of last-minute fiesta! The mini-pinatas from One Charming party look really simple and easy to make! My kids would LOVE these! I also love the flowers in the can I found on Babble! Really simple to do with a quick trip to the grocery store. It’s not too late to throw a little insanity in to your day, is it? Do you celebrate 5 de mayo? I don’t always, but this inspiration board has me craving some chips and salsa! p.s. My Pinterest board is called 16 de septiembre. Who knows what that date is? I know I’m supposed to be enjoying all the bright colors…but I saw this and thought “Mmmm. Tacos.” Hope you had a happy Cinco de Mayo! The garlands are great. Especially the flower ones. Paper flowers are so easy and look so great. Thanks for reminding me about them.